There are many cases, skins, and covers for the iPhone, iPad or iPod. They are everywhere! It seems many companies jumped on that bandwagon because they are easy to make and easy to sell. How do you choose between all the available options? It’s not easy, but Zagg makes your choices more manageable. A quick visit to their site pulls up many different skin options from Landscapes and Holiday to Leather and even Customizable skins. Users can click on whichever skin interests them most to reveal a list of different styles. There is truly a skin for every style and personality. One of the most impressive skin on the site is the custom ZAGGskin. This option allows a user to choose any image for the back of their mobile device. A proud parent can display their children, business owners can share brands, bands can display album covers, and the list goes on! The possibilities are endless because the hard working team at ZAGG will take the image and press it to the skin. After the image is sealed, the whole skin is mailed to the user. The user now has a mobile device which is unique and exclusive to only them! Can’t decide on an image? 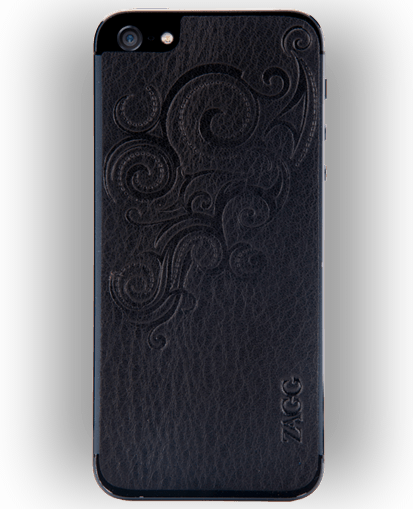 Choose an iPhone or iPad case with an image from the ZAGG website! Their site makes it easy to choose a unique case, separating you from the common cases your family and friends might already have. The cases are not unique to the world, because they’re available for everyone, but it will be difficult to find another iPad or iPhone case matching your own because they have so many fun options and colors available. ZAGG could even promote cases and skins original designed by you! The skins are so much fun because there are so many options such as: Corportate/Brands, Landscapes, Animals, Electronic Entertainment, Mythical, Grunge/Urban, Floral, Collections, Patterns, Nature, Holiday, Around the World, Sports, Solids and even Leather. Own your iPhone or iPad by making it yours with these neat skins. Search through current photos, examine interests, review the available options on ZAGG and get a unique iPad case today! The image will be so awesome, everyone will ask about it. Where did it come from? Where did you get that? The comments won’t stop coming when your smartphone cover is as unique as you. Visit ZAGG.com, review all the skin options, then contact the professionals who will create an iPhone cover or iPad cover that will have the same personality as the person holding it! Order a few and change out the skin any time you want! The skins are available in as many images as you want, but beware: only one image per skin! It is certainly worth the investment to buy a few more and have a different iPhone cover or iPad cover nearly every day! Author Ben Tanner, reviewing and sharing his view on awesome mobile accessories.